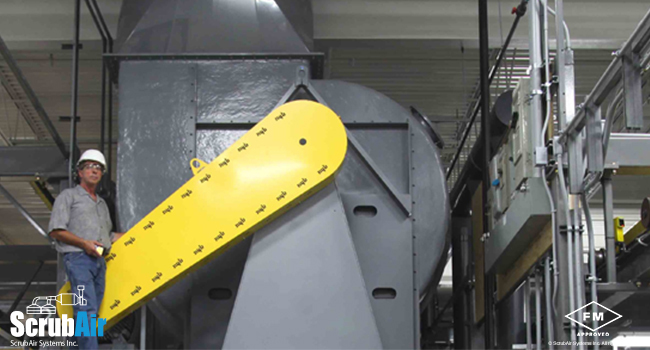 ScrubAir partners with The New York Blower Company from LaPorte, Indiana to provide custom-designed FRP fans for specific applications and processes. 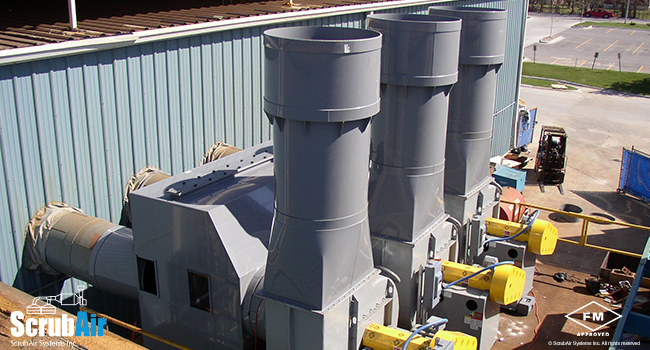 The New York Blower Company is the premiere name in industrial exhaust equipment. The technical assistance New York Blower provides in most major cities is invaluable, their engineering staff is excellent, fabrication is high quality, and the lead time is always right on schedule. ScrubAir chooses not to fabricate exhaust blowers like other vendors offering air pollution control systems due to some important issues we’ve seen over the years. We have witnessed consistent flaws with PVC fans with a coated steel wheel where, sometimes within the first year, the coating on the coated wheel becomes brittle from chemical attack and sections of the wheel begin to break away, resulting in chemical attack to the exposed steel. This results in the fan coming severely out of balance, often causing deterioration of the PVC housing which requires the fan to be shut off. This means critical downtime for the client while waiting for a new fan or wheel – often the costs of a new wheel and installation can be as much as actually purchasing a complete new fan. New York Blower fans have fiberglass housings, all FRP wheels (no coatings) with stainless steel shafts, access doors, and high efficiency motors. For chromic acid applications, we use the New York Blower PLR steel fan with a protective heresite coating on the housing and wheel. In the past 11 years we have installed well over 750 fiberglass and steel New York Blower Company fans – all have operated with exceptional performance. Most of our clients refuse to buy PVC fans with coated wheels, due to the risk of chromic attack and have asked ScrubAir to replace their existing fans with the New York Blower Company FRP fans. The New York Blower Company push blowers surpass the performance of other conventional fans and blowers. 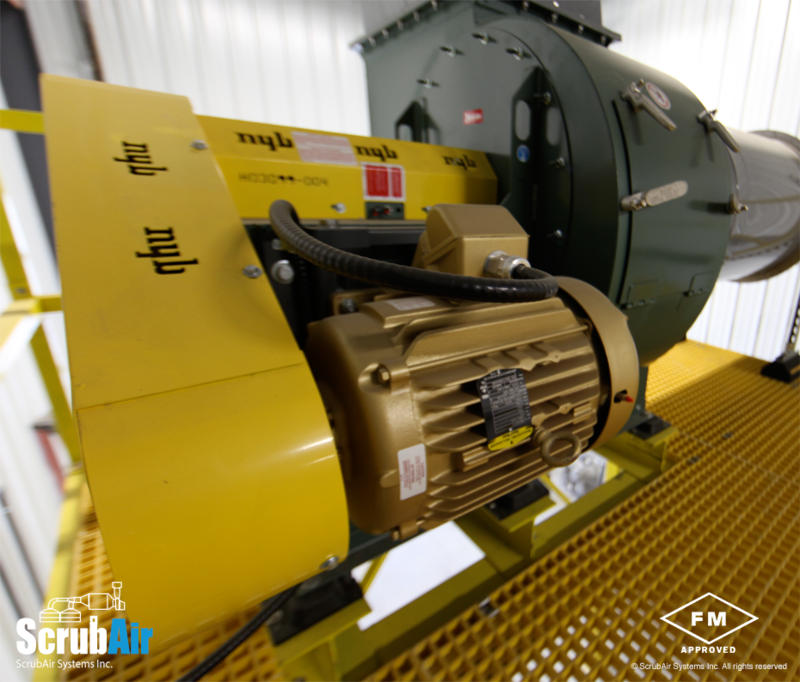 ScrubAir typically uses the New York Blower Company push blowers to supply 650 CFM – 2,500 CFM at 15” static pressure depending on the size of the exhaust system. They are equipped with inlet filters with housings to supply filtered air to the push hoods, which prevents plugging of the holes. For more information about ScrubAir Fans & Blowers call us at (847) 550-8061 or contact us below.